Before you can get the graduate degree, you need to become an expert at the Graduate Record Examination or GRE. It is considered to be one of the most popular tests for students and includes a number of questions from general subjects that are supposed to help you in entering the degree program that you selected earlier. While this may sound easy, it is much difficult because the level of testing has dramatically changed in the last few years. To help you your GRE preparation, the Internet has a lot of books designed to guide you through the process and achieve what you need. Choosing the best book for GRE preparation can be a challenge because all of them are good. 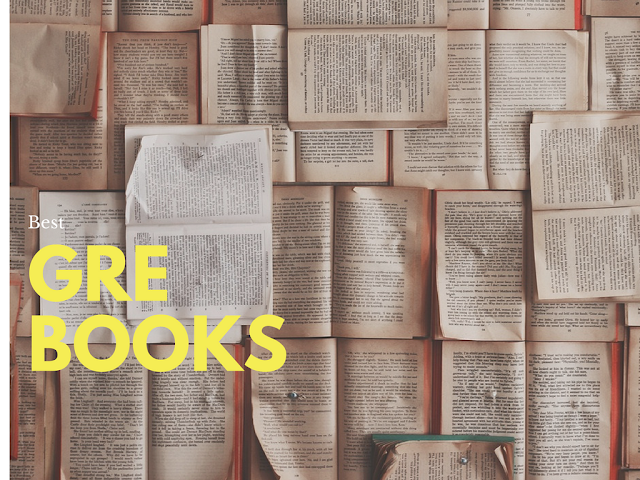 To ensure that you do not spend a lot of time on deciding what book to select for the prep, we have gathered a list of ten most widely used books. The links to Amazon are included, just in case. Kaplan has always been considered as one of the best GRE prep resources, and for a good reason. This year, this publisher provides us with everything we need with the complete package that includes a number of books divided by the subject, including GRE Verbal Workbook and GRE Math Workbook. These resources give an excellent opportunity for great preparation because they offer adaptive tests, practice questions, explanations, and other information we need. Last year, this book was the most popular among the GRE students because it had every question and explanation they needed. In addition to the book, a CD is provided to accompany the material and provide a better learning experience. The popularity of this book is also explained by the fact that it always contains revised tests. Refer to this Official Guide to know more. This resource provides a good systematic approach to preparation for GRE. Specifically, the learners are asked to complete the initial test to identify the weak knowledge areas and then proceed with a special emphasis on these areas. Also, it is a great option because it provides all simple explanations for the questions and situations and sample tests to develop better skills. McGraw-Hill has been in the business for a long time, so this book won’t disappoint you. Having problems with math questions? This book is designed specifically to prep you for the math section of the test by doing an excellent job in explaining the material. All the math categories are divided to make sure you work on the most important challenges and build the solving skills category by category. While focusing on a specific GRE section, this book is a good option for math preparation and developing test-taking skills in this field. Another very popular resource for the preparation contains eight excellent guides, including algebra, fractions and percents, geometry, word problems, quantitative comparisons, reading comprehension, text completion, and number properties. By combining all the test areas, the set provides a very comprehensive approach to preparation, which is supported by years of experience. And, it is written by a high-caliber GRE instructor. This pack provides an authentic GRE experience because it is also written by the official instructors. It contains three books: the first one is the official GRE guide while the other two have the sample tests, questions, and explanations. According to the publisher, this pack is focused on providing the user with plenty of practice and commentaries from experts that designed the test. It is the most important advantage of selecting this pack. Perhaps the most systematic and consistent approach to GRE preparation is delivered by this resource. It contains powerful techniques of preparation, such as online tests, problem-solving guides, reviews of the chapters, detailed explanations, experts’ advice, and sample tests. However, there is a slight disadvantage of using this resource: it remained almost unchanged from the last edition, the review of which can be located here. This book was created by the people who designed the early versions of the test itself, so it is a pretty reliable resource. It, therefore, focuses on the classic old GRE but still makes a good preparation resource because it provides a simple approach to explanation and has sample tests. Moreover, who is better to learn from than the people who designed the tests, right? Intensive preparation is the focus of this resource. The exercises and preparation plan encourage the reader to study every day and do more. For example, in addition to traditional studying with the book, the resource provides the access to a number of online guides, sample tests, and lessons and encourages to spend another hour with a computer. Another great advantage of this resource is special emphasis on the verbal section of the GRE, which is given a lot of explanations. The last item on this list covers analytics, quantitative, and verbal sections of the test, so if you need to prepare for math, look further. However, if you are interested in these three areas, this book is a great choice because has all the features of the books that made this list, including sample tests, thorough explanations, additional practice questions, online resources, and advice from the experts. Have You Made A Choice? The key to the success to any exam is lots of preparation. The professionals say that books are just a part of the preparation strategy. James Mason, an expert educator from Proessaywriting says that taking practice exams is the best way to go (The Economist provides some good ones here). This opinion is supported by this article about the best ways to study for GRE from a popular preparation source VertasPrep. Make sure you review all the options and strategies before taking some serious steps because you need to be certain that the path you took is right. The books described in this article will make you GRE preparation path much easier, as they did for thousands of students before you. All of them come highly recommended by educators and students but they focus different study areas, which might be the main reason to make the choice.